When it comes to borrowing money, there is a lot to remember. There are millions of blogs about loans, and almost as many libraries full of books on the subject. A loan comes in many shapes, forms, and sizes, but there is one thing that applies to all of them. It is the “golden rule” that applies to every single kind of loan in the world. That’s it! 90% of all your loan problems will never happen in the first place if you just carefully read the details in the paperwork. Read the details. ALL the details. Sounds easy, but it isn’t. There is a very good reason most people skip this: the loan paperwork is filled with so many legal terms, conditions, and numbers that it is hard to process it all. This is by design, of course. Loan companies hide the more unsightly details of the lending process deep in the fine print. They bury the things they know you will not like! This is because they know most people won’t bother reading all the details. It’s a trick that lenders play on borrowers, but it is completely within your power to change it! Some companies enforce prepayment penalties, meaning that if you pay your loan off early they charge you extra. Other companies charge extra “processing” fees when or immediately after the loan is repaid. Sometimes these charges are so small you might not notice, other times they are substantial. One thing is for sure, your saying “but I didn’t know” is not enough to waive those charges. “I didn’t know” won’t help you after the fact, so make sure you never have to say it. Read the fine print, and if it seems confusing ask questions of the lender. If the lender won’t answer your questions, they are probably not the kind of lender you are looking for in the first place! 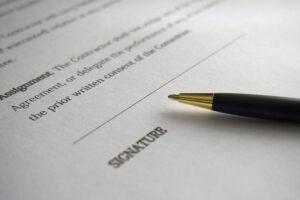 Once you sign a loan contract, you a legally bound to it. For that reason, always make sure you have total clarity on the final product before signing the contract. When you are ready to do business with a reputable small lending company, we will be here!